Orlando is my birthplace and I spent my early childhood in rural central Florida. The search for employment brought my father from the mountains of West Virginia to eventually find work at the McCoy Air Force Base, which is now the Orlando International Airport. My mother’s family of 14 immigrated from the farmlands of Prince Edward Island, in Canada. Her father had been poisoned with mustard gas during World War II and moved to warmer climes for his health. I can trace my artistic creativity and love of gadgetry to my maternal grandfather, who painted a mural on their living-room wall and was the first person in his province to own a television. I also inherited the independent nature of both family lines, which each hail from Scotland. Stereotypical of that nationality, I endured the frugality of my parents. While they will spend time to save money, I spend money to save time, especially if it’s for quality or a durable purchase. The other Scottish attribute I inherited was a quiet but passionate temperament. Albeit more civilized than my ancestors on my father’s side who were the Hatfield clan of the McCoy blood feud. Dad was a true hillbilly, born in a tiny log cabin on a snowy day. His father died while he was still an infant, leaving him the last of 13 children and without a role model for fatherhood. But what Dad lacked in finesse, he made up in adventure. Because of his wanderlust I have traveled through two thirds of the states and saw every coast of this country. While I no longer have the endurance to cross half the country in a single session, I still love road trips and prefer it over flying. I’ve tried to instill this sense of adventure in my own kids as a character builder, because adventure is one part fun, one part hard, and one part unknown. My parents are devout Christians with roots tracing back to the orthodox Plymouth Brethren. Although Dad rebelled against his religious upbringing during high-school, just prior to meeting mom, he repented of his self-reliance and surrendered to God and became a believer of active faith. After the Air Force he was self-employed (and has never been able to do otherwise) and did well financially. But a successful business was not the answer to a successful life and he knew God’s plan for him required a huge step of faith. So, when I was in the fourth grade, the family sold our home and moved to rural Pennsylvania to begin training as missionaries with NTM (New Tribes Mission). Our financial support came from church donations, so sometimes a meal would only be bread and beans. But God provided for us and the hard times were never that bad, and enough is as good as a feast. There was a short hiatus in the tiny mountain town of Craigsville, West Virginia before we started training at the NTM Language School in the Ozark Mountains of Missouri. By this time, I was in junior high and landed my first job working for a tiny newspaper in nearby Camdenton, where I cleaned the presses and threaded the newsprint. The artist in me would watch with fascination how the page layout and lead type would be set. And the experience I gained, along with my artistic talents, would come into play later in high school when I worked on the year book and in the print shop. The year that Elvis died, we were once again back in Florida. I spent my summer canoeing the nearby Econolatchee River, threading the cypress knees on tea-colored water, while my parents sold the last of the property we owned. Due to the Spartan, dorm-like housing of the NTM schools (and partly due to acclimating ourselves to life in a third-world country) we had few possessions. What we had was now being sold or discarded with only the essentials squeezed into 55-gallon drums for a slow boat trip across the Pacific. Such a frugal lifestyle made me treat possessions with great care. I am loathe to borrow things, and when I do, it’s important to return an item in better condition than when received. During my high school years there were many luxuries and experiences that were unknown to me that defined my state-side age group. In a school so tiny (my graduating class of three set the new high-water mark) there were no team sports. The only sports we played were casual after-school games of basketball on a mud court or a game of four-square during recess, played on a concrete slab. There was no prom, no homecoming, and no class electives. But I did play in nature’s own “water park” in the Foré under a canopy of flowering trees that were filled with Cockatoos and birds of paradise. I climbed Mount Wilhelm, half the height of Everest, to explore the snowy crash site of an American Bomber from WWII. I swam in tropical reefs with Scorpion and Stone fish peeking out from the wreckage of Japanese warships. I heard war chants in the night, ate at village festivals, hunted boar by moonlight, saw earthquakes bounce planes on a landing strip as if they were toys, and I was named Xangxa by cannibals. In 1980 my father offered me a choice of graduation presents: a class ring or a ticket back to the United States. The strict conditions of the school had grown oppressive and my parents would soon move on to work with the Pygmies of the Congo. I’d never been in one place long enough to have what I could call home, so I chose the ticket and left to create such a place. I returned to relatives in West Virginia and in the job-starved economy of coal country, I landed a temporary job in the Monongahela National Forest. I spent much of my time swinging a double-headed ax and learned to navigate the mountains by internal compass. In warmer weather we built the amenities used by tourists, like the observation platform at the Falls of Hills Creek. The job had a one-year limit so I was forced to seek work outside the beautiful Appalachians. I eventually found employment in fast food in St. Petersburg and had my first taste of city living. I was still making minimum wage, but the frugal living of my past meant my needs were also minimal and contentment with these basics meant more time on the beach. My father, however, wanted me to go into ministry. Missionary kids tend to follow one of two paths: I’ve been told that the vast majority return to their foreign homes: to a language and a culture that is now more familiar and more comfortable than American culture (which changes significantly while they are gone). The others, once free of the moral constraints of a strict environment, rebel against their upbringing or are unequipped to resist the many temptations of modern life. My moral compass was not, however, rooted in just my parents despite my decision to seek a secular rather than a religious vocation. I was that very rare third class of missionary kids who just wanted to join the workforce, get married, and have a home. For a few years Dad disowned me as his son, although I never took it seriously. Eventually I proved to him that I wasn’t going to turn into a prodigal just because I hadn’t become a missionary. Since he still had hopes, he asked that I at least try a semester in Bible School, just to make sure I wasn’t missing a sacred calling (on my dime of course). At the end of a full semester at the NTM Bible Institute of Jackson, Michigan I returned to Florida with straight A’s but still no calling to missions. Resigned to acknowledge that I was destined for a secular career, he asked me to at least pursue it at a Christian university. So that next semester I drove up to Chattanooga to attend Tennessee Temple University. I’d been drawing and painting since I was a toddler. In high school I’d done some worked in the mission’s printshop and thought I could leverage that experience in graphic design. So I spent my initial time at TTU as an art major. But in my second year I had to face the reality that I didn’t have the talent, in such a competitive industry, to be more than the clichéd starving artist. I’d always scored well in the sciences and I thought back to a time during Bible School where I’d been exposed to a computer being used for translation work. Like all gadgets I’d had a fascination for them, so when it came to changing majors, computer science was a natural fit. This was also the point in history when the personal computer was the current phenomena. I read every book on programming in the university library and used my meager savings to buy a Commodore 64. The next year, I enrolled in their business department, with a specialization in computers. 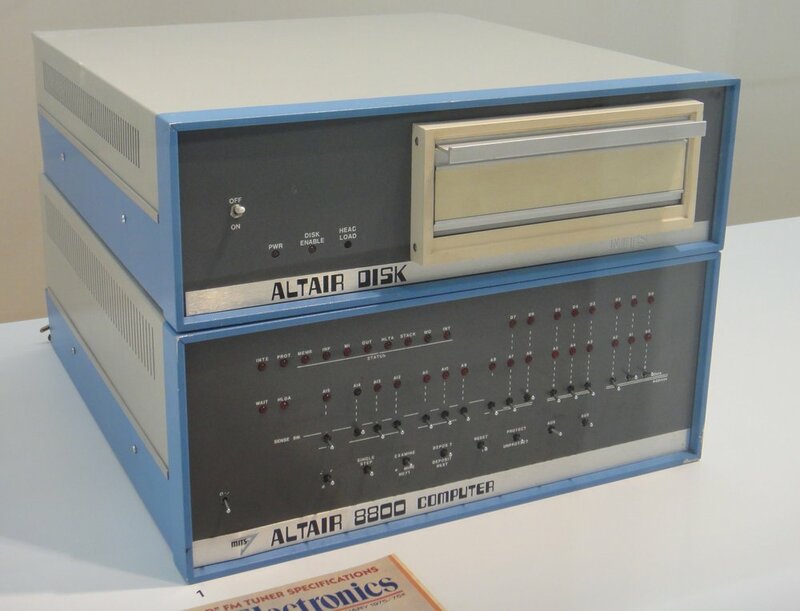 During my Finite Mathematics course I performed matrix calculations on the historic Altair S100 computer, the forerunner of personal computers. It had a bank of switches with each toggle representing one bit and you’d program it a byte at a time. It was a glorious day after you’d entered the boot program and could now use a keyboard and giant floppy disks. My voracious appetite for computer knowledge soon surpassed what the university was offering. The community college of Chattanooga State, in contrast, had a stellar reputation and was beating major universities in programming competitions. So the next year I transferred to Chattanooga State and convinced my doubting advisor that I could handle the academic load I’d chosen. I proved myself by acing multiple computer languages in my first semester. I soon became the president of the student chapter of the DPMA (Data Processing Management Association) and then graduated with honors in 1986. I later served on their IS department’s advisory board and remained active in DPMA in my early career. Paying my own way through school meant I was always on the lookout for a better job. I’d broken out of minimum wage by finding a retail position in the art department of P&S School and Art Supply and moved up again with a factory job at the McKee Bakery making Little Debbie Snack Cakes. I’d hoped, at the bakery, to transition into my career field. But as a fresh graduate, it’s hard to take a third-shift cookie maker seriously. My career break actually came from an old college professor. The quality of my homework assignments had made such an impression on him that, a few years later, when he started his own consulting firm, he asked me to join. At Montague Computer Consulting it was exciting to finally have a full-time, first-shift job in my chosen vocation. I was definitely on the path to the stability and home life I’d been building towards. I was still a newlywed at the time, having married Susie Harrison, a coworker during my time at P&S. The feast-or-famine nature of consulting, however, eventually proved too stressful on my employer. Being independently wealthy, a descendant of Italian nobility, there was always the temptation during thin times to dissolve the company. So, when I found an opportunity to work for a larger business, it fitted my stability goals, and I hired onto Erlanger Health System in 1989. My wife went into labor with our firstborn, Kari, on the very day of my interview at Erlanger. By the time they understood she wasn’t calling for an employee but a prospective employee, I’d already left the interview. I did make it to the hospital in time and within weeks I had the job that would allow us to buy a home. I worked for 19 years at Erlanger and fully expected to retire from there. I finally had a home in the mountains and the southern culture from which I’d come. Unfortunately, the hospital leadership became involved in illegal activities and the Office of Inspector General came knocking. The OIG is funded by the penalties they levy, and since the perpetrator had deployed his golden parachute, the workers felt the brunt of their wrath. 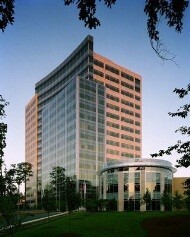 Conditions at the hospital continued to deteriorate and eventually outsourcing was chosen to alleviate the financial crunch. I’d survived multiple layoffs by making myself indispensable, but with this new twist I was no longer an employee. I could continue to work there, doing the exact same job, but at reduced pay and benefits, working for an outsourced firm, which was to assimilate the IT staff. The salary from a struggling non-profit public healthcare agency already fell short of market norms and now it was getting worse. I’d tolerated the pay because I valued the stability and because my department was a close-knit unit, producing in the 75th percentile of public hospitals with only a 25th percentile staffing level. But now that those redeeming qualities were gone, and with a third of the best employees leaving, I was confident I had the skills, even during a job shortage, to find better employment. And this time I wanted to work in a for-profit business, and in a non-healthcare market. It took half a year to find that dream job, but in the summer of 2008, I joined Cox Enterprises as a systems analyst in their Information Systems department. It was a difficult transition for my family. My son, Harrison, was in his senior year, so I alone moved to Atlanta so that he wouldn’t be uprooted at such a special time in his life. Once he and his sister were living in the dorms of Lee University, Susie joined me in our little apartment as we attempted to sell our home at the height of the housing crisis. She’d spent her entire life in Chattanooga, and life in Atlanta was a daunting challenge in addition to losing all the family, friends, and church relationships she’d established. But, by the time our house sold (a couple of years later,) she’d grown to love our new home in Roswell and couldn’t be tempted to move back. We still make frequent trips back to Tennessee to keep those special relationships alive, but we now truly think of Atlanta as our home. The themes of morality, adventure, creativity, and stability can be seen in my story. But the influences throughout my history are inconsequential compared to my choices. And the one influence I chose to define me, above all else, is my faith. It is the daily pursuit to live consistent with the doctrines of orthodox Christianity that brings out the best in me. The authority of the Bible may have been preeminent in my upbringing, but it is my daily decision to embrace its absolutes that charts the course for my legacy. Although I never entered the ministry like my parents did, I remained active spiritually and enrolled in the Timothy School for ministry training. Their candidates frequently become pastors and missionaries, but they also welcome those who desire to serve as laymen rather than as clergy. My work as a student was recognized by the staff and upon graduation I was invited to be an instructor and later helped form the SALT Institute and build its curriculum. That in turn, led to trips to the Qëndra për Drejtuesite Krishterë (Center for Christian Leadership) in Tirana, Albania where I served as a guest lecturer. Thus adding teaching to my current toolset for home and career.